Bayelsa Govt withholds salaries of 4,204 workers – Royal Times of Nigeria. 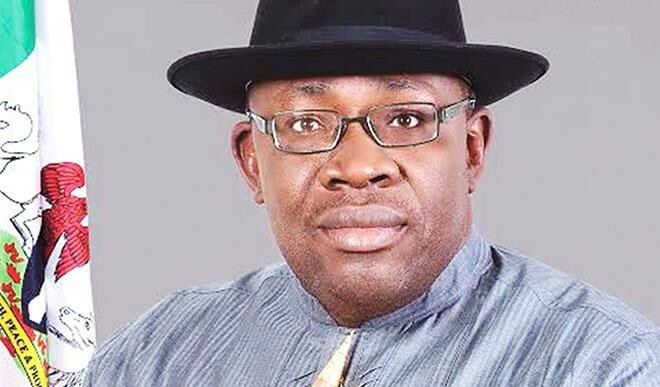 The Bayelsa Government on Wednesday said it withheld the October salaries of 4,204 workers with questionable records, as part of steps to reform the state civil service. The Deputy Governor, Rear Admiral John Jonah (rtd), who announced this at a press conference in Yenagoa, said that those affected were from the eight local government areas in the state. According to him, 1, 329 are local council workers, 2,184 in the primary school system and 707 on pension payroll. Jonah listed those affected to include workers recruited without authorisation from relevant agencies, those with forged certificates, those receiving salaries from multiple agencies of government and some with questionable promotions. Also, those involved in pension fraud, age falsification among others would not be left out, he added. The deputy governor disclosed that the panel which investigated the payroll fraud, also uncovered 34 people with questionable promotions, adding that some workers on Grade Level 04 in 2011 were promoted to Grade Level 14 in 2012 with forged certificates. He however said the state government had established a judicial commission of inquiry headed by retired Justice Doris Adokeme, to hear complaints from the affected workers on Nov. 13. The deputy governor warned that the government would ensure strict implementation of the findings of the panel and would not be deterred by any kind of blackmail from any quarters. He expressed regrets that it was only in Bayelsa that a person would work for a day and expects to be paid a month salary. “We have been carrying out comprehensive reforms not only at the councils but also at the secondary schools, parastatals, pension payroll, civil service, grade levels verification and others. “There is massive payroll fraud in the state and the situation is such that there are some earning double salaries. “There are retired people in the payroll, those who promote themselves, and several retired personnel. In fact over 700 retired personnel are still in the payroll. “With effect from today, salaries of such suspected persons are suspended. “For those receiving salaries from multiple agencies, we will not pay you, but if you prove that you are a genuine worker your salary will be paid.” Jonah said.